Are you the kind of Game Master who enjoys building your own adventure maps? 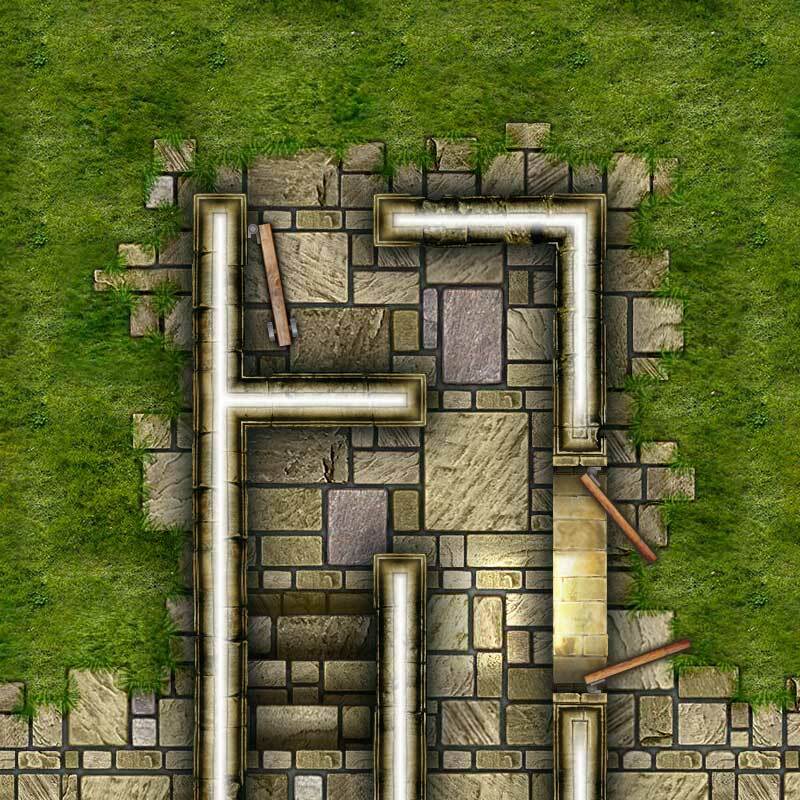 Be it a maze, monster lair, underground dungeon, or a long lost cultist temple ruin filled with monsters and traps for your players to explore? 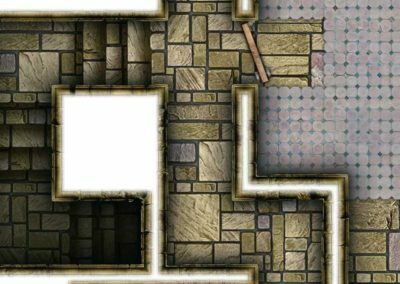 The Dungeon Map Tiles V art pack builds on the success of Dungeon Map Tiles I, II, III, and IV to bring you an all new texture pack of ready-made art assets. 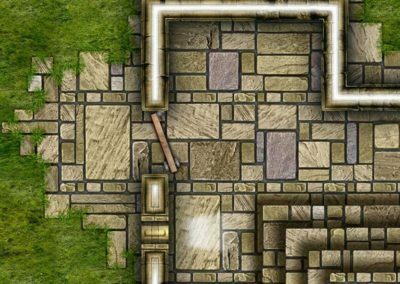 Ancient broken walls and irregular stone floor tiles give the map tiles within this package a distinctly grundy medieval look’n’feel. 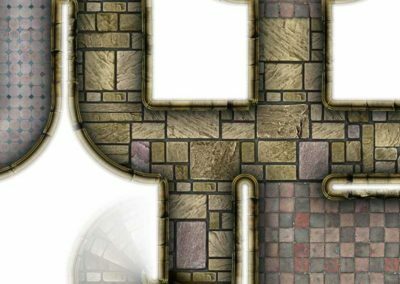 The package contains the essential elements of any dungeon theme setting, with passageways, staircase tiles, spiral staircase tiles, door tokens, window tiles, and tiles designed to interlink with the grass tiles from the first Dungeon Map Tiles package. 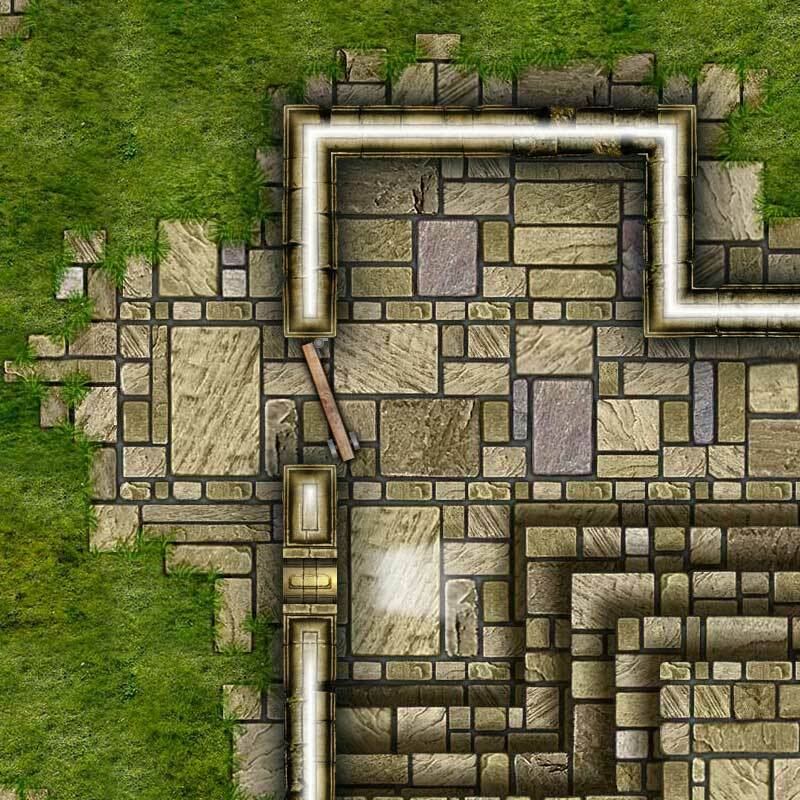 All Studio WyldFurr map tiles have a unique “look’n’feel” as each map tile is a combination of photographic source material combined with hand drawn artwork. 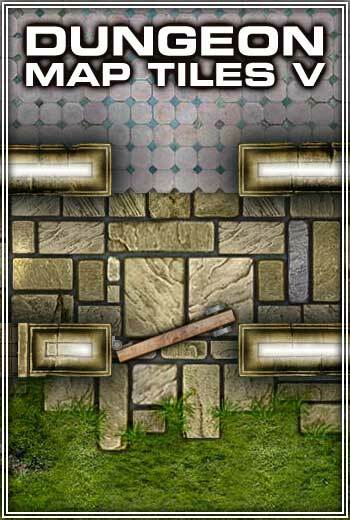 Want to have a look at every map tile that is inside the Dungeon Map Tiles V pack before committing to buying the pack? We have a PDF that is just perfect for you. 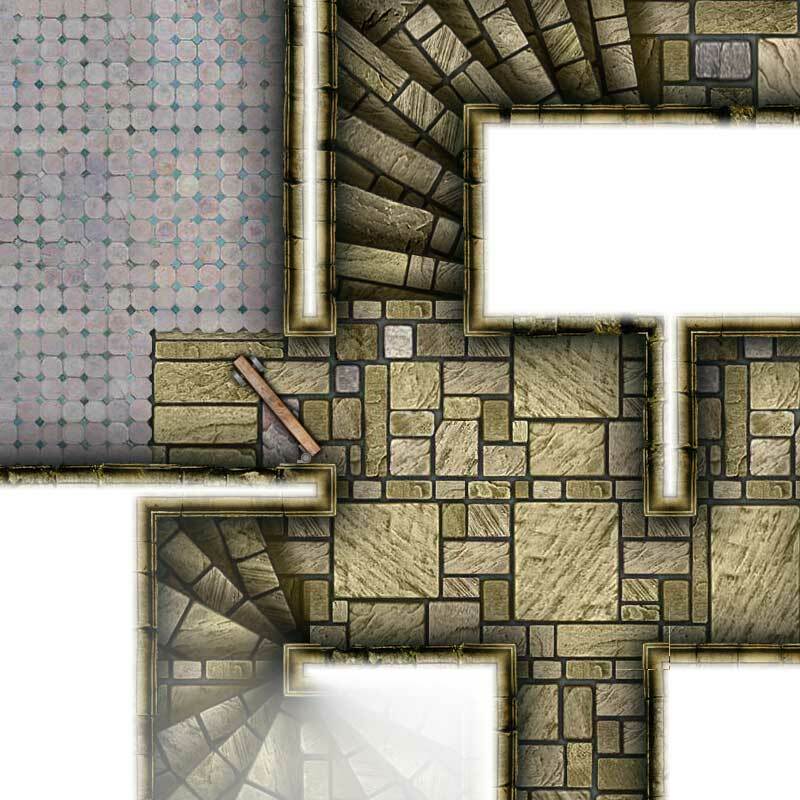 We have a Sample Sheet PDF that displays every map tile that is inside the Dungeon Map Tiles V package. You can simply download it here and check out what is inside the pack. 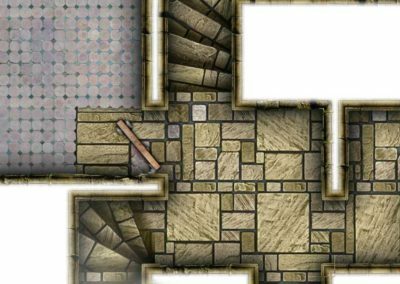 The map tiles have been made as a kind of ready-made art pack that you can simply just drag’n’drop onto a digital art canvas to build a map. 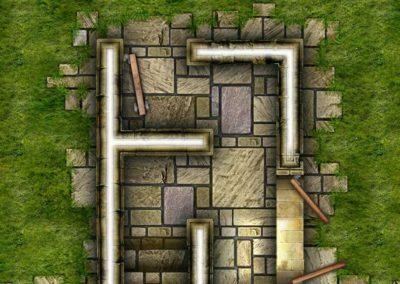 To do this all you need is a graphics editing program such as Photoshop, Gimp, or another Map Making program that permit you to use pre-created tiles to build maps. We recommend using Gimp, it is free and is a very powerful program for this task. 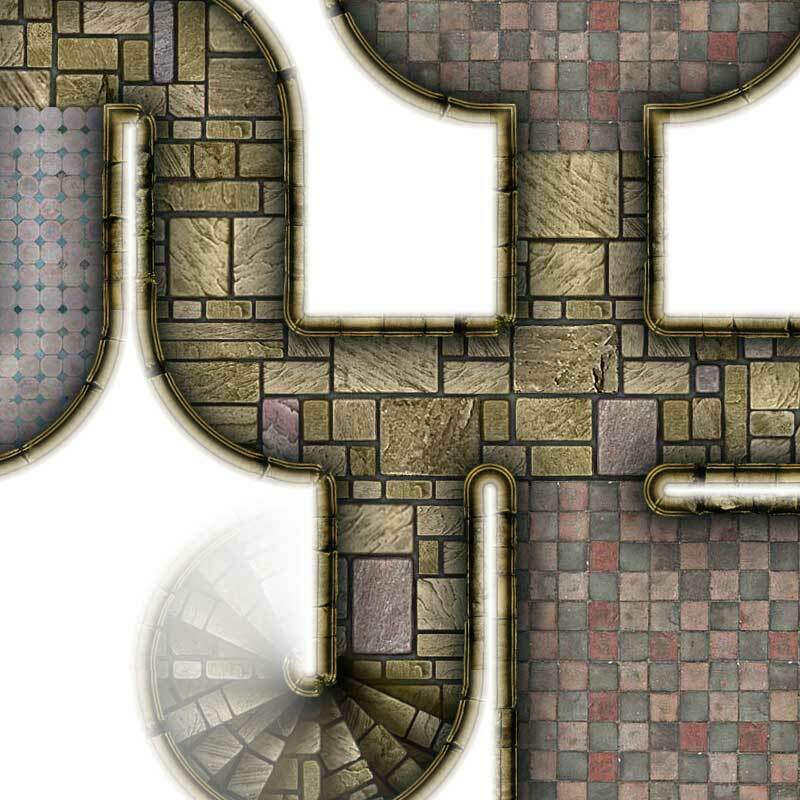 If you are not sure about what to do, we have a tutorial about building your own maps in Gimp. You can also check out the videos on the Studio YouTube Channel to see how our resident artist Tailz builds his maps in Photoshop. 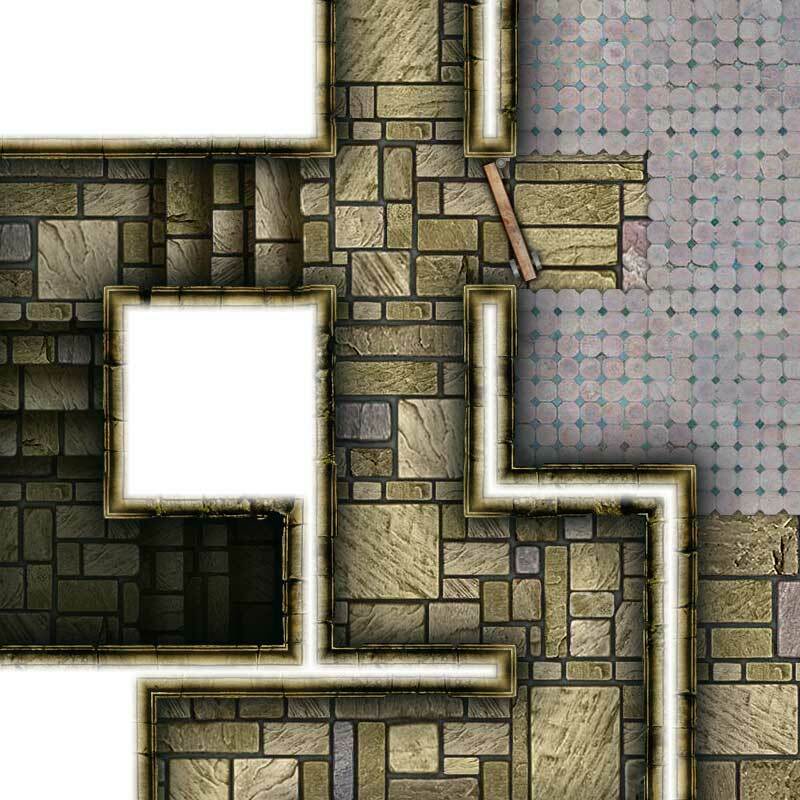 Grab the Dungeon Map Tiles V pack to expand your map building tool kit.